My new book project is called Beneath Haunted Waters. You can read more about HERE. 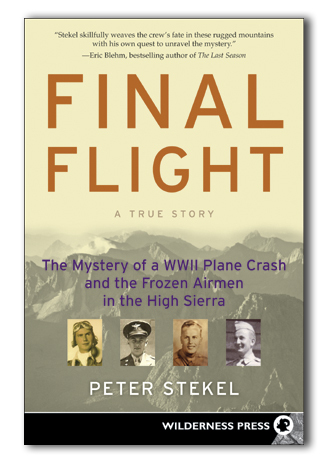 Thank you for you continued interest in Final Flight. This will be my last regular blog posting. There is a movement to get the National Park Service to allow a team of researchers to explore Mendel Glacier this fall in hopes of finding William Gamber and John Mortenson. Should this pan out, I will post something on this blog to keep you informed.